On May 8, 1945 Nazi Germany surrendered to the United States and other Allies marking the end of the war in Europe. This surrender, known as VE Day marked the end of World War II for millions of soldiers and civilians. For the American soldiers in Europe that had fought across the continent from the beaches of Normandy this was the end of 335 days of combat and the start of occupation. 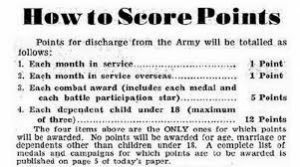 In order to fairly decide which units and soldiers were sent to the Pacific theater and which would be sent home the Army developed a points system. This system, officially designated the Advance Service Rating Score, quickly became a hot topic with the troops. The Army’s reasoning behind this system was two-fold. Instead of shipping units whole from Europe the Army understood that it’s soldiers wanted to go home and soon. Draftees and National Guardsmen that had been in for the duration since 1941 often had the highest scores and were rotated home quickly. For example: Sgt. Bob Slaughter of D Company, 116thInfantry Regiment who stormed ashore on Omaha Beach had accumulated a score of 135 points by May of 1945, almost double the minimum of 85. 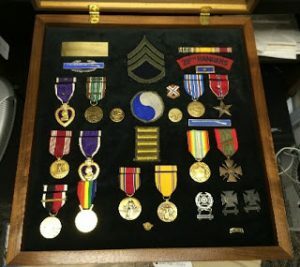 His high score came from 52 months of active service, 33 of it overseas, 2 Bronze Stars, 2 Purple Hearts, the American Theater Ribbon and 5 Battle Stars on the European Theater Ribbon. When Bob returned home to Roanoke, Virginia he worked for the Roanoke Times newspaper until his retirement in 1987. In the 1980s he began to organize reunions of his World War II unit. At the same time, he began a campaign for a memorial dedicated to the memories of the D-Day fallen. This culminated in the dedication of the National D-Day Memorial in Bedford, Virginia on June 6, 2001. In order to keep units at full strength with combat veterans returning home, recently inducted soldiers would be sent overseas to join the Army of Occupation in Europe. One of these replacements was my grandfather, Pvt. William B. Ford Jr., who spent a year in Bremerhaven, Germany with the Army of Occupation. The surrender of Japan on August 14, 1945 allowed the drawdown of forces to continue with the points limit revised to 80 and soon to 50 by the end of 1945. As the points needed to be discharged dropped, so did the number of men in uniform. By January 1, 1946 almost fifty percent of the 8.3 million men in the Army had returned to civilian life in the states. These veterans contributed to the rapid growth of post-war America and the eventual Baby Boom of the 1950s. After grueling months on the front lines these soldiers finally returned home to their sweethearts, a warm bed and Mom’s apple pie. As the Greatest Generation quickly passes away, it is ever more important to celebrate and remember the legacies of World War II. In 2010, Congress unanimously voted in favor of a national “Spirit of ’45 Day,” typically held on V-J Day (August 14), to preserve and honor the legacy of the men and women of the World War II generation so that their example of national unity, shared sacrifice, can do attitude, and service to their community and country continues to inspire future generations of Americans. 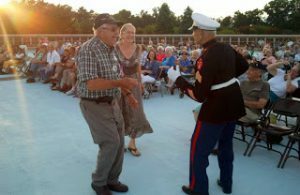 On Saturday, August 13, 2016 at 7PM, the National D-Day Memorial will host its annual Spirit of ’45 Alive concert—an outdoor concert featuring The Let’s Dance Band with a tribute to the WWII generation. Tickets are sold at the door. In honor of Rosie the Riveter, wear a red bandana or scarf and receive $2 off admission. For ticket pricing and more information, visit www.dday.org or call 800-351-DDAY. A special thanks to Weldex and Bank of the James for sponsoring this event! Slaughter, John R. Omaha Beach And Beyond: The Long March of Sergeant Bob Slaughter. 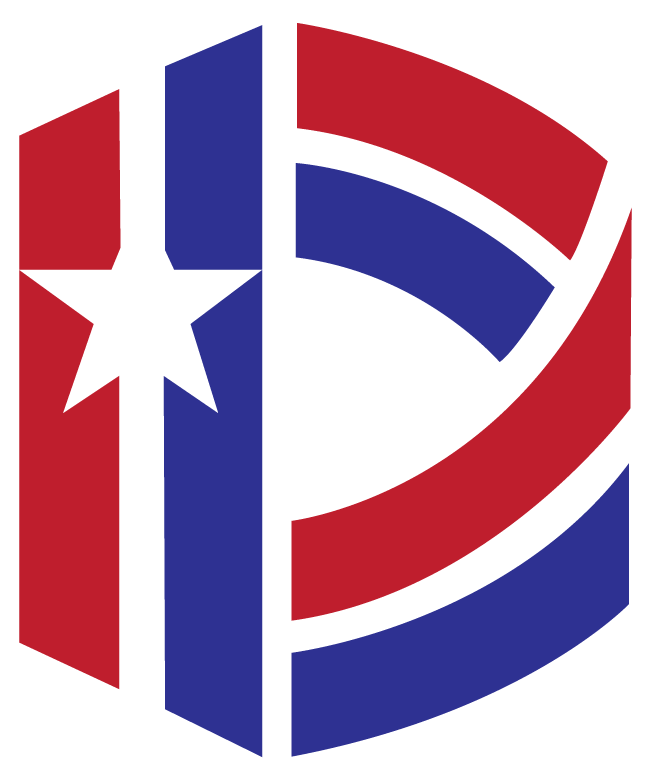 St. Paul, MN: Zenith Press, 2007.